I am a perfectionist about many areas of my life. I don’t have a lot of “fancy” clothes, so I generally just wash everything together, and I usually use my homemade detergent. (Or sometimes I do like to use Biokleen Laundry Detergent— I’ve had good results with it.) During the warmer months, I prefer to hang items outside to dry- either on my clothesline or drying rack. For the longest time I never pre-treated stains– which resulted in a lot of, er, “spotted” clothes. 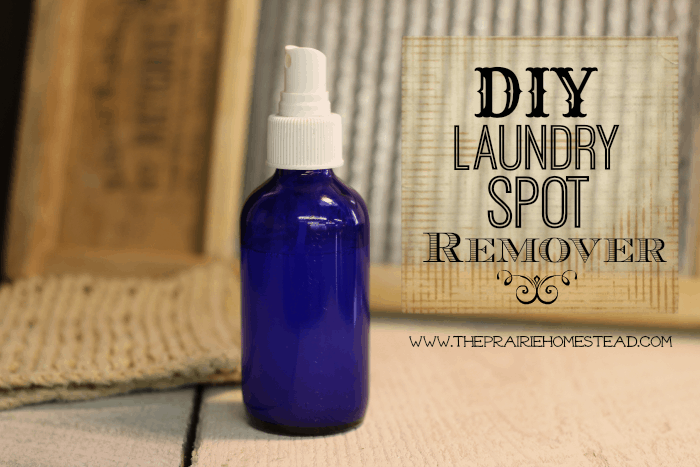 Thankfully, I started using this homemade spot treatment, and it has worked wonders (especially with a messy preschooler…). You can whip up a batch yourself with natural ingredients and you’ll never have to buy spot-removers at the store again. If using the essential oil, store the mixture in a glass container since lemon oil can disintegrate plastics. If you omit the essential oil, it can then be stored in a repurposed plastic bottle with a lid that allows you to squirt it out. To use, shake well and apply liberally to spots and stains. Lightly rub the mixture into the fabric with your fingertips. As with most spot removers, this one works best if you treat the spot immediately and allow it to soak before tossing it into the washing machine. Sometimes I’ll even allow the item to soak overnight before washing it. I haven’t had as good results if the stain has already been washed first– but you can still give it a try. I haven’t had any issues with this mixture discoloring clothing, but if you are concerned about that, I would definitely test it in an inconspicuous area. I get my small glass spray bottles from AromaTools or my local health food store. If you don’t have liquid castile soap, you can use liquid dish soap instead. I’ve used the “blue stuff” in the past with good results. You’ll just want to stick to a higher-quality brand, since the cheaper ones are usually watered down. 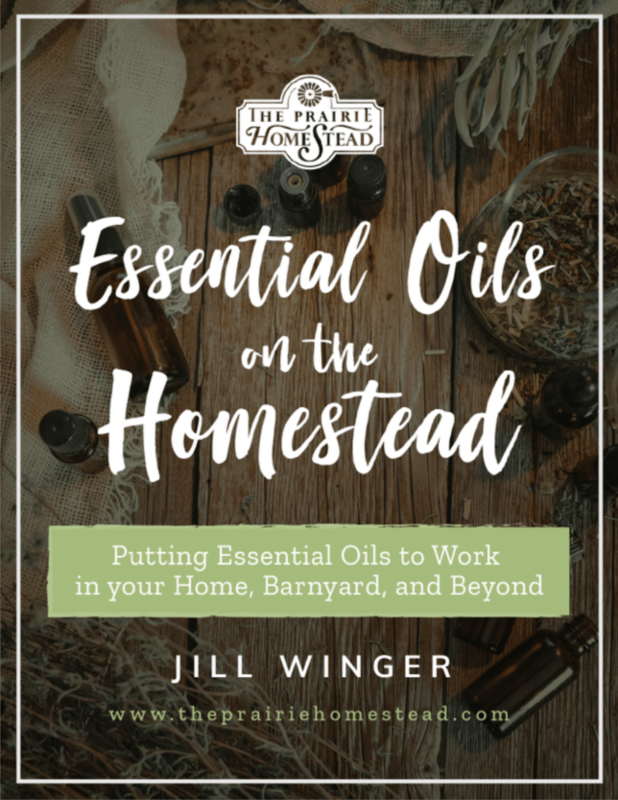 Laundry isn’t the only area of my home where I use essential oils— I put them to work on a daily basis for all sorts of things: cleaning, life’s little emergencies, in the barnyard, and a whole lot more. 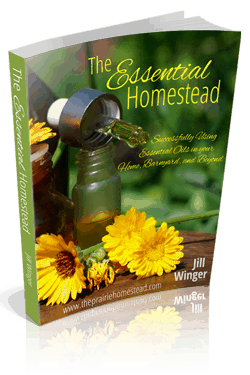 You can get all the details for FREE in my eBook, The Essential Homestead. I have all these ingredients and will be excited to give this a try! I have four kids, it gets very hard to keep up to stains right away. There are a few things you have to let go of, and I try to put “play/stained” clothes on the days we eat something that might stain or we go outside. And I accept the fact that one of my sons will forever be in stained t-shirts and sweatpants, lol! Oh- I can totally relate! My daughter has a whole lot of “play/around-the-house” clothes that are stained like crazy. I don’t even worry about trying to keep them spot-free. 🙂 But, I’ve found this recipe works well for the “good” clothes that accidentally get stained. I have seen many, many other companies using the term “therapeutic-grade” to describe their oils. 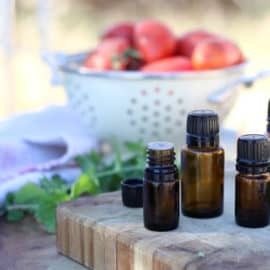 Because there is no regulating authority when it comes to essential oil quality, many companies have come up with a way to describe their products. Yes, one of the trademarked terms is “Certified pure therapeutic grade”- but they’ll be the first to tell you that it is not an “industry standard,” but rather a way that they like to describe their oils. I don’t see a problem with that. As far as pricing, I’ve found that the wholesale prices are quite comparable to other quality-oil companies. And they have multiple promotions that allow me to save even more. Essential oils are a very hot topic right now, and everyone has the right to choose their own brand. But after the amazing results I’ve had with the product, I’ll be sticking with them. Somehow, I do not find it offensive that the obviously friendly, talented person that develops, maintains and monitors this nice website promotes a product line, or lines, if she chooses, for others to peruse and try if they so desire. If one doesn’t like the particular line… fine!… no harm is done! But to feign “near offense” with, in this case, the line and its inclusion on this site, is ridiculous! Don’t like it? Don’t bother with it! But to post a derogatory comment on a free reference/info site tends to make me think there’s always someone, somewhere, that would criticize life, itself! Just enjoy the site, like most others seem to, and wish the site owner/writer “good success”! “Glycerin, in its pure form, is called “glycerol,” meaning it is a type of alcohol. It is a colorless thick liquid, which is ‘hygroscopic’,* meaning it absorbs moisture from the air. *Glycerin is hygroscopic – Don’t rub your eyes with glycerin on your fingers! Well spoken. Some people can be so critical and act like experts, when all they have is just an opinion. If you don’t agree with the research on this blog, then just don’t read it – but don’t criticize when you have no research to back it up. Have you tried the line, no I can guarantee you haven’t, so, natvsayer, be gone. Try your cheap oils. But, this fine person is trying to give her knowledge and time free, what are you doing. Being rude. Jill, I can hardly wait to try this. I’ve been using the Lehmen’s recipe for laundry soap with great success for a couple years now. But needed a good stain recipe. I’m curious why the vegetable glycerin helps with stain removal? I’m not sure, but glycerine is typically a thickener/suspender. My guess would be that it makes more of a gel consistency, so that the liquid stays on the clothing better. It may also keep the oil suspended in the liquid. Just a thought – I may be wrong. I actually have a book on aromatherapy for pets; including cats, dogs, rabbits and horses. I’ve read that cats and I think dogs too are highly allergic to all citrus. Might want to substitute a different essential oil to be safe. Have you found that this helps with oil stains at all? I keep getting them and can’t get rid of them! I wonder if I use more lemon essential oil if that would help. Great recipe! I believe I’ve had it work on fresh oil stains– but it still would be worth a try on older ones as well! I’ve been using a little “trick” on my really tough stains including oil, fresh and set. I take my spot remover spray and wet the area with it. Then I sprinkle a little bit of Oxyclean crystals on the area, just enough that sticks. I roll up the clothing and toss it into the washer as usual. It works especially well on “organic” stains like blood, sweat, grass and NC red clay dirt as well as oil. I would be interested to hear what others know about Oxyclean for its “natural” properties. I have DIY home and beauty products all over my house, but I keep buying Oxy because it works so well. I also mix it half and half with baking soda for a toilet and tub scrub. A friend said to use a more natural brand (Oxybrite, I think), but it has the same product ingredients as the Oxyclean. So I just wonder. I don’t happen to have the lemon oil right now but have several others. Could I substitute and, if so, what else have you tried? I have sweet orange, tea tree, and lavender. I love this idea. I’m slowly getting us away from commercial laundry products. Hmmm… I’d stick with the citrus as far as stain-removing goes. Perhaps the orange? I will try this tonight and let you know what happens! So Jill, the citrus oil helps in the stain removal? I wonder because you mention omitting it if storing in a plastic container. I know about lemon oil and plastic, but I wondered by the possible omission of the oil if it was more for scent. ? I do think the EO helps with the stain removal– however, I’ve tried it both with and without and have still had good results. I think for certain stains, the lemon might give it an extra boost, but it still might work without it. Have you had any problems yet with your plastic spritzer top getting clogged or deteriorating because of the EOs? I wonder if I should order extras. Nope- not yet! Just used it the other day, in fact, and it worked great! How does it work on baby poop stains? I haven’t had any luck with finding a safe spot remover that works on those. If the baby poop stains are on your cloth diapers, hang them out to dry in the sun. They’ll disappear. I think all my white cottons come out whiter when I sun-dry them. I love your site! I was very excited to try this recipe, but it’s not working for me at all. None of the stains came out, even after letting them soak overnight. Any suggestions? I don’t have hard water. Also, what is the purpose of the glycerin? Because I know it is great for softening the skin, but wasn’t sure why it was included in this recipe. Sorry it’s not working, though! Hi Jill! I can’t believe it’s taken me this long to get back to you. I am SO terribly flattered that you like my blog. I really do love your’s and love to read your posts on Facebook. I’ve been trying to remove food and mud stains, mostly. I tweaked the recipe and it works much better for me now. 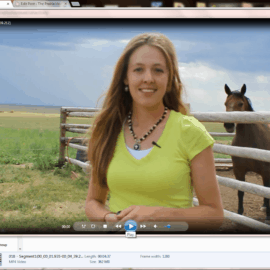 I’m going to post about it but will for sure credit you and work in a nice intro to your blog. Hi. I am about to try this recipe. However, I have a question about using liquid castile soap. I have used this in shampoo and body soap before, but desperately looked for a new recipe, because it left a weird residue in my hair and on my skin. Will my clothes have a residue as well? Should I try just leaving it out of the recipe? Thanks! You can make your own castile soap if you can’t afford the store bought and if you make your own lye soap (like I do) or if you already purchase lye soap. Take your lye soap, place it in a freezer bag. Measure on a digital scale. Multiply your measure by 4 to find your answer. Your answer is how much water you add to the bag. Squeeze air out and seal it. Squish it every day for 5 days. Cut corner and put your castile soap in a squeeze bottle. It really is that easy. But you have to use real soap. Made from lye. Not the junk you buy at the grocery store. Wow– never thought of doing that before– thanks for the tips! I forgot to say, if it’s too thick for what you want it for, you can further dilute it by just adding more water. Hi Jill, I found you by way of some FB page that posted a link to “30+ things to do with eggshells”. Let me tell you how excited I was to find out that you were a EO user! I am a new IPC and have enjoyed spending my morning reading your posts. I am excited to make your spot remover recipe and look forward to your future EO recipes. Did you make that snazzy dish cloth? If so, do you have a tutorial on it? Hi Wondering if this stain remover formula needs a preservative? Whenever oil & water are blended there should be a preservative to avoid bacteria growth? What are your thoughts? This is probably a really good stain remover and I may try it in the future but in the meantime I use Dove (it’s not soap – wrong pH). It is great, even for removing those stubborn s). It is currently the first thing I try. Ooops! that should have read, “stubborn stains from pasta sauce (tomato). 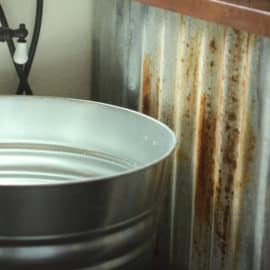 For removing oil stains (I learned this when I removed oil stains from a soft furnishing), treat first with a small amount of detergent in water (about 1 tspn in 5 oz water for a chair cover; alter the quantities depending on what you are treating) and apply with a soaked and squeezed cloth. When treating soft furnishings (e.g., seat surface) it is important to wet the whole area to prevent water stains. After this has completely dried, mix approximately 5-6 drops of eucalyptus oil in 5 oz. water, then apply the same way, beginning by spotting the stains then covering the whole surface. Allow to dry. The stains I treated this way, had been there for a couple of years. The material was pristine after this treatment. I see no reason this would not work on clothes. vinegar. For example the recommended cures to disentangle the issue. You mentioned you make your own laundry detergent….is this recipe on your web site …and if yes, where would I find it? Thanks. I am new to your site and really enjoy it….thanks for all the work you put into it! Nice to have a recipe for stain remover! Will have to give it a try at some point. I currently have good luck with Fels -nap bar soap. When I buy a lovely scarf (either wool, acrylic or silk) from a thrift store ( I once bought a vintage classic Burberry wool scarf for .50 cents) I wash in the bathroom sink with shampoo & I add a drop or too of tea tree oil for sanitizing. Rinse, thoroughly, hand dry. Some times depending on the fabric content I will put in the dryer on gentle either no heat or low heat. I store my scarfs, folded & place in a plastic lidded container wider, longer and shorter than a the plastic shoe box size. You can opt to put a bar of lavender soap, lavender sprigs, an essential oil on a piece of fabric or cotton ball or you could put cedar shavings in the box to keep the scarfs fresh smelling. Someone mentioned blood stains, Hydrogen Peroxide works great and is less expensive than the Oxi-product they mentioned. Are you using a top load or a front load washer? 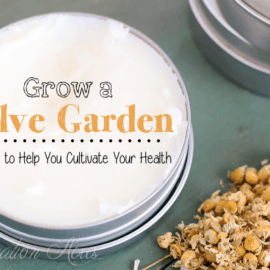 I’m concerned about using homemade stuff without knowing if it will over-suds in my front load. I’m getting to the point where I need to make a decision and roll with it. I’m out of stain treater, and I’m determined that I don’t want to buy any more. I have a top load, but haven’t heard of any over-sudsing issues with this in front loaders. So hopefully it’ll be OK! You’reso interesting! Really don’t think I’ve truly read something like that before. So nice to discover someone with most genuine thoughts on this topic. thing that is required throughout thee web, someone with a little originality!